2017 was a very good year for Parmi Natesan. She was recently selected as one of Destiny magazine’s Power of 40 Awards 2017 nominees. The awards celebrate powerful, successful young achievers under the age of 40 on the African continent who are bringing innovative ideas that impact the lives of people in Africa. Last year, Natesan also received the Rising Star Alumni Award from Nelson Mandela University. Besides the affirmation of a job well done that an award brings, Natesan acknowledges that her family are her strongest supporters, and this motivates her further. ‘My two children, aged 11 and 9, are so proud every time they see me in the newspaper or getting an award. I think it’s great for children to see that hard work pays off. I hope it motivates them to be the best they can be. I am grateful to my husband, Suren, for supporting me in my career. Professionally, Natesan’s main focus is on promoting corporate governance and upholding the credibility of directorship as a profession. 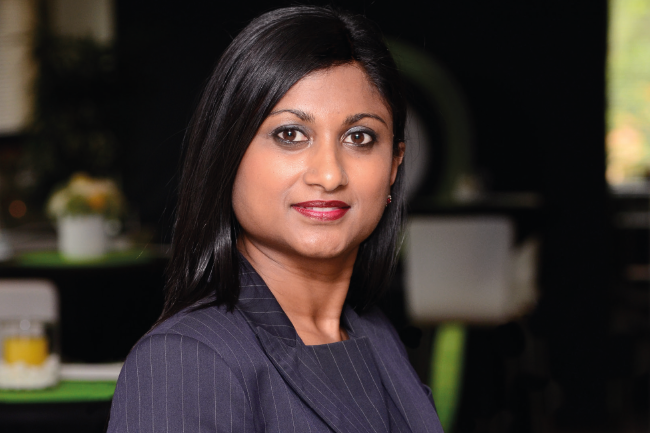 While the Institute of Directors in Southern Africa (IoDSA) is well known for its role in the King Reports, possibly less apparent is the professional body’s efforts to increase the number of competent directors, which it does through its chartered director and certified director designations. ‘Board composition probably has the greatest single impact on the future success of an organisation. It is worth getting right,’ says Natesan. To get this right, the IoDSA has developed the Director Competency Framework, which contains the functional, personal and social competencies necessary for directors. Encouragingly, transformation is happening at board level. Nearly one-third (32.3%) of directorships in Johannesburg Stock Exchange (JSE) and AltX-listed businesses are now black. This is the finding of 2017 JSE research conducted by the South African Institute of Chartered Accountants. However, there is still some work to be done in terms of gender diversity stats at board level. Directors are required to provide an example of ethical and effective leadership. Leaders by their very nature carry the people that report to them along with them. And the ethos of an organisation is set by the people at the top. Natesan’s conversation is peppered with phrases such as ‘directors’ duties’. When it comes down to the nuts and bolts of what this means exactly, she is happy to oblige with an explanation. ‘Directors have a fiduciary duty, or duty of trust to perform their functions in good faith, in the best interest of the company, with a duty of care, skills and diligence. In South Africa, directors’ duties are primarily contained in the common law. Natesan hastens to add that directors’ duties should not prevent them from taking the bold decisions that are often necessary to drive growth and increase profits. ‘Business is ultimately about taking risk in order to gain reward. Equally, it is accepted that directors may take decisions that turn out to be wrong or result in loss,’ she says. In these instances, ‘directors have a defence, which is commonly known as the business judgement rule, to be able to demonstrate that they took reasonable steps to become informed, and took a decision that they believed was in the best interests of the company at the time’. The outcomes-based approach of King IV, which was released in November 2016, represents a significant improvement in corporate governance in South Africa. Natesan applauds government’s undertaking to issue a board appointment framework for state-owned enterprises as part of an inclusive growth action plan. ‘Effective corporate governance improves organisational performance over the long term and contributes to reversing the perception of corruption in the country,’ she says. Another crucial factor in ensuring good corporate governance and full transparency is integrated reporting. 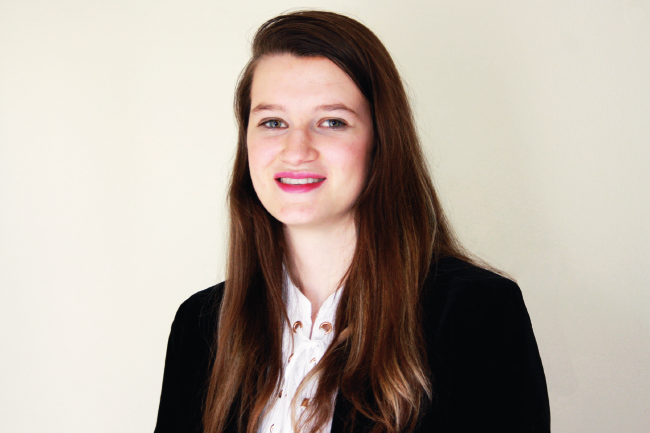 ‘Integrated reporting ensures that companies are not only meeting their set profit margins but are also actively involved in meeting their social responsibility, for example CSR projects,’ says Caylin Jade Walker, a second-year accounting science student at the University of Johannesburg, and third runner-up in the 2017 KPMG/University of Johannesburg Integrated Reporting Project awards. The project, which is a collaboration between KPMG and the department of accountancy at the University of Johannesburg, required accountancy students to analyse a JSE-listed company’s report in accordance with the International Integrated Reporting Framework. ‘SAICA’s slogan is “develop, influence, lead”,’ says Walker, and that’s exactly what she learnt through the initiative. ‘This project has developed my integrating thinking and creative presentation skills. It has influenced me to not only focus on understanding the technical aspects of my degree but rather focus on how the skills and knowledge obtained can help make a better South Africa – a country in which companies are transparent and provide a holistic view point to their stakeholders.